Four cyclists from Barford are making a 1,000 mile journey from Lands End to John O’Groats from 24 July – 3 August in memory of a fellow villager. Graham Lees tragically died in 2008 in a road accident near Taunton while cycling his second charity ’End to End’. 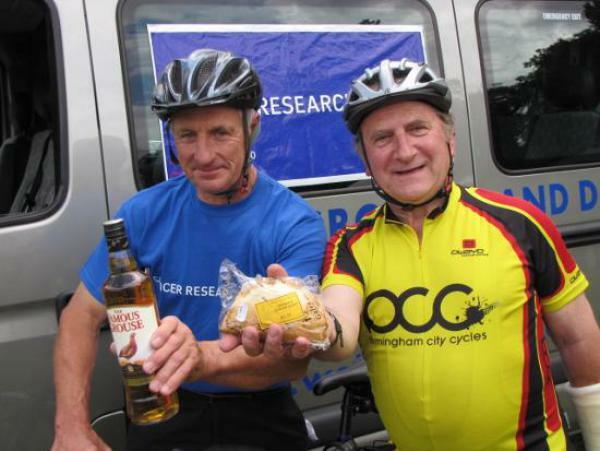 The 2010 cycle challenge has been organised in aid of national charity Cancer Research UK. Starting at Lands End in Cornwall, the ride finishes at John O’Groats, in the north of Scotland, 10 days later. Each rider is seeking a number of sponsors, both commercial and of course friends and relatives.